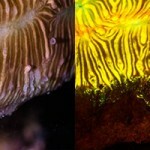 The recipient of the third annual NIGHTSEA/EMS KEY Award for New Faculty is Dr. Kristen Gorman, Assistant Professor of Biological Sciences at Cal State Chico. 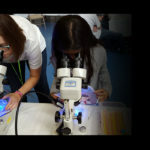 NIGHTSEA SFA system enables fluorescence microscopy at a STEM outreach event. 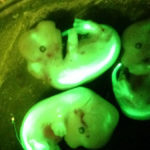 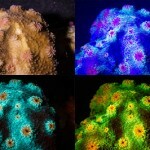 Fluorescence is widely used for failure analysis. 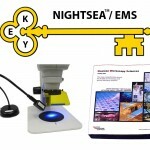 The NIGHTSEA adapters can add a fluorescence capability to a wide range of existing microscopes. 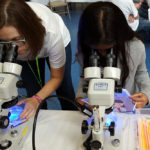 Convenient fluorescence microscopy goes on the road for BrainFest – a neuroscience-focused STEM outreach event. 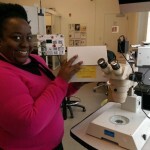 The recipient of the second annual NIGHTSEA/EMS KEY Award for New Faculty is Dr. Sarah Petersen, the new Ashby Denoon Assistant Professor of Neuroscience at Kenyon College. 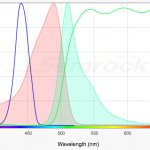 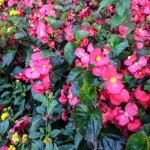 The NIGHTSEA Violet light source has been used successfully to photoconvert the color-switching CaMPARI protein. 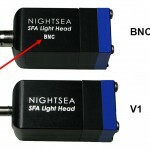 New fluorescence excitation light head connector for the NIGHTSEA Model SFA Stereo Microscope Fluorescence Adapter. 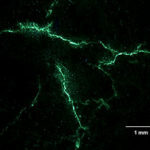 KEY Award winner Dr. Robert Mitchell is using the NIGHTSEA Stereo Microscope Fluorescence Adapter to image nerves filled with fluorescent dye. 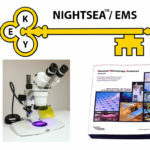 Dr. Robert Mitchell, University of Wisconsin Oshkosh, was the recipient of the first NIGHTSEA/EMS KEY Award for New Faculty. 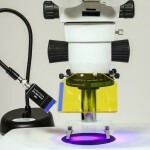 Surplus stereo microscopes are an alternative to use with the NIGHTSEA Stereo Microscope Fluorescence Adapter. 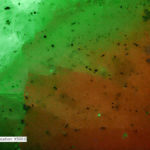 George McNamara comments on spectra viewers and public availability of spectral data. 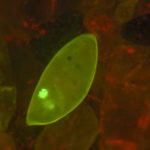 NIGHTSEA’s fluorescence visualization tools are the preferred solution for working with calcein-stained fish at macro and micro scales. 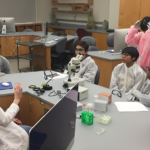 BioBus and BioBase are now using the NIGHTSEA Stereo Microscope Fluorescence Adapter system to introduce students to fluorescence microscopy. 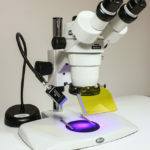 Photographing the fluorescence of a flower under a stereo microscope equipped with the Eclipse MicroTent(tm) to eliminate ambient light. 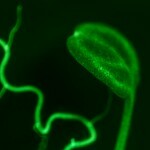 Test of the Model SFA Stereo Microscope Fluorescence Adapter with C elegans strains expressing GFP and mCherry. 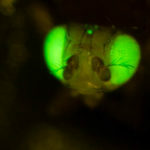 Communication from a researcher discussing his application of the SFA filter sets with two lines of transgenic Drosophila. 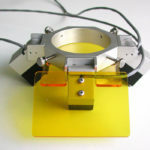 Green bandpass filter for the Stereo Microscope Fluorescence Adapter system to enhance viewing of GFP in the presence of background autofluorescence. 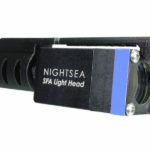 NIGHTSEA created a custom near infrared light head for a researcher, cutting his experiment light dosage time from 20 minutes to 20 seconds.